Whether you’re a Phoenix regular or just getting to know us, you can save money with a MyPhoenix card. And as a cardholder, you’ll be supporting our film, art and education programmes – helping us build a place where everyone can be inspired by great film and art. Joining is easy – just complete a form at Box Office next time you’re at Phoenix and your card will be ready for you to use that day. Then register your card so you can use it online to buy discounted tickets. 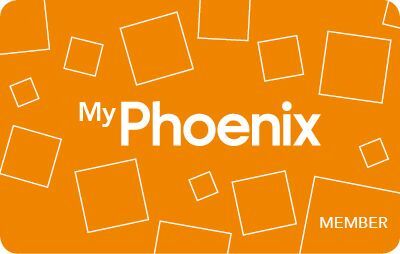 You’ll also be able to take advantage of MyPhoenix Mondays and get 2 tickets for £10, for any film on Mondays at Phoenix. Plus you’ll know that you’re helping to support your local independent cinema and art centre. Just fill out a form at Box Office and you’ll start saving money straight away. Receive 15% off your food and drinks bill at The White Peacock, when you dine from the taster or a la carte menus. Present your MyPhoenix Member or Friend card upon arrival and state when booking. Valid Tuesday – Friday. Maximum table of 8 for one card. Two cocktails for the price of one with the assiette of desserts. Selected cocktails only, Tuesday – Saturday. 15% discount not valid for this offer. A Friend card give you all the benefits of membership, plus Phoenix benefits from your £25 charitable donation which will be invested in our three charitable programmes. As a Friend, you can become more involved with Phoenix, with opportunities to meet our Board of Trustees and management team, give us feedback, and even help us with our planning. You can Gift Aid your donation to further increase its value. Find out more about our charitable activities in our Annual Review. Earn points towards free tickets with a FREE MyPhoenix Loyalty card. You’ll receive points worth 10% of the value of every film and Stage on Screen ticket you buy, whether it’s at Box Office or online. The more you use your card, the faster you’ll earn yourself a free ticket. 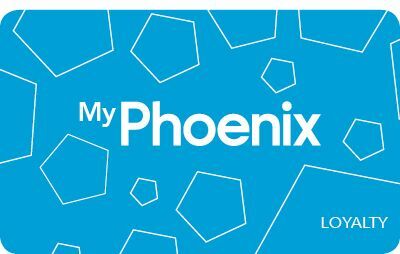 To get your MyPhoenix Loyalty card, just complete a form at Box Office next time you come to Phoenix and you’ll get your card – and start earning points – straight away. If we’re especially busy, we’ll have it ready for you when you come out of your film. Just fill in a form at Box Office and you’ll be able to use your card straight away. 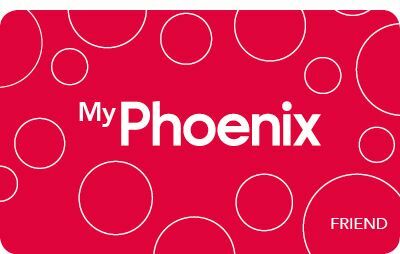 After you’ve joined MyPhoenix, register your card to use when buying tickets online. Check your free tickets & loyalty points. Email us to update your contact details. Got a question about MyPhoenix? We’ve answers to many common questions here. Learn more about our 3 charitable programmes supported by your Friend donation. Find out about the events we have coming up for our Members and Friends.